Have you ever stumbled upon an article that you want to read, but don't have the time to read right away? Indiepaper is here to help! 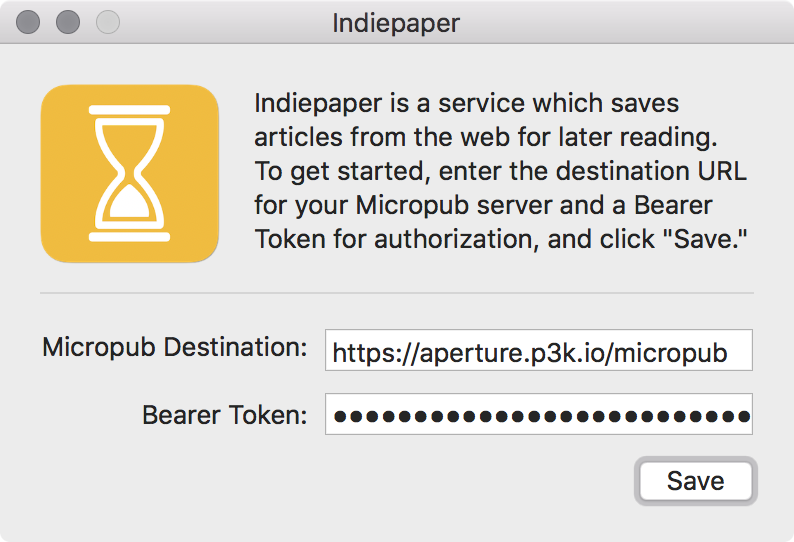 Send your articles to Indiepaper using the bookmarklet, macOS app, or iOS Shortcut, and Indiepaper will extract the article contents and save it for later by publishing to your micropub server. Note: If you want to save Indiepaper articles into a new channel in your server, you might need to create that channel in your server before following the steps below. If your website or feeds service supports IndieAuth, you can configure Indiepaper automatically by logging in with your domain. Enter your Microsub server url into the IndieAuth form. You will be taken to your Microsub server, which may ask for your personal url to identify you. If this happens, it will take you to your personal website to confirm who you are. Once your identity is confirmed, your Microsub server will show you a confirmation screen to confirm you want to save Indiepaper articles to this Microsub server. If your Microsub server offers different channels it will provide a channel selection on this screen as well. You will be taken to the configuration screen where you can choose to either configure the bookmarklet, the native apps and/or get advanced details for setting up the Shortcut. To make it easier to use Indiepaper, generate a bookmarklet using the form below and then drag the "Read Later" link to your bookmarks bar. If you're a macOS user, you may want to install the Indiepaper macOS application, which will allow you to send links into Indiepaper from any app in macOS using the system-wide sharing service. Simply launch the app, enter your configuration details, and click "Save." Once configured, a system-wide "Send to Indiepaper" action will be available throughout macOS, including in Safari, and other native applications. Integration with iOS is provided through Shortcuts, an iOS app for automation (formerly known as workflow). Simply download and install the Indiepaper iOS Shortcut, configure it within the Shortcuts app, and you'll be able to send links to Indiepaper from anywhere in iOS. How does Indiepaper work, you say? Well, Indiepaper builds on top of IndieWeb building blocks, namely micropub. 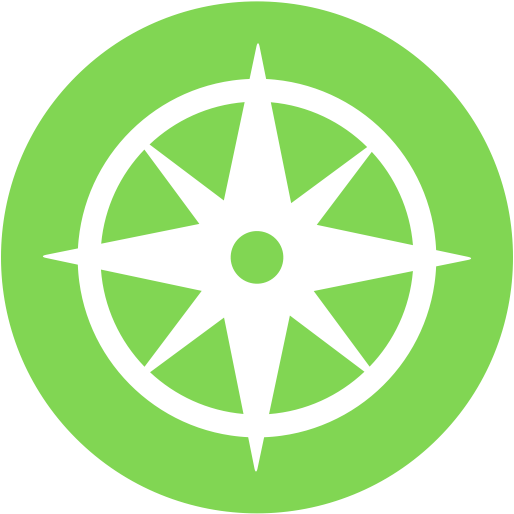 To use Indiepaper from your app, just send an HTTP POST request to Indiepaper with a Authorization header containing a bearer token for your micropub endpoint, and a x-indiepaper-destination header containing the URL for your micropub endpoint. Your POST request should pass the variable "url" as form-encoded data. Optionally, you can pass the variable "category" as form-encoded data to specify a category for the saved content. Note: the "category" parameter can be passed multiple times if you want to specify multiple categories. When using Indiepaper's support for IndieAuth, Indiepaper will request the create, update, and save scopes. Indiepaper is open source, as is Indiepaper for macOS.